This fall inspired parfait features both Honey Graham AND Chocolate Chocolate Chip Snackers! This protein-packed recipe is super simple, delicious, and surprisingly healthy! 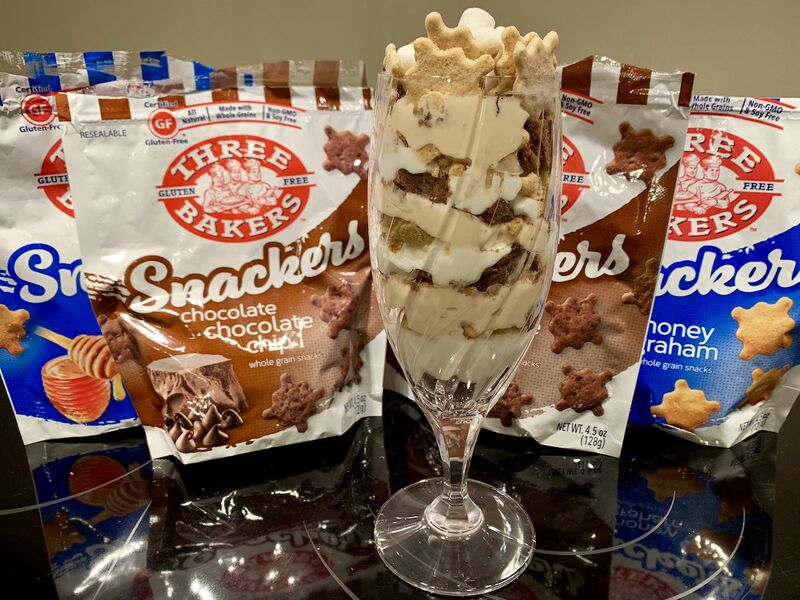 Serve this yummy parfait in your favorite glassware and enjoy for dessert, breakfast, or even as a snack. The ingredients listed include the exact amounts I used for the macros and calorie calculations shown below. However, more or less of these ingredients can be used to make the parfait! Pretty glassware or even a mason jar! Crumble up majority of the Honey Graham and Chocolate Chocolate Chip Snackers (saving a few for decorations on top!). Begin layering the yogurt and crumbled Snackers in your glassware until you run out of yogurt. Top your parfait with the remaining Snackers (crumbled and/or whole! ), mini marshmallows and any other fall inspired topping your heart desires! Dig into your gorgeous creation! 436 calories (56C/13.6F/27.2P) for the whole parfait! Hello everyone! My name is Kelsey Johnson. I am a current first-year MPH student (Masters of Public Health) at the University of Pennsylvania in Philadelphia, PA. 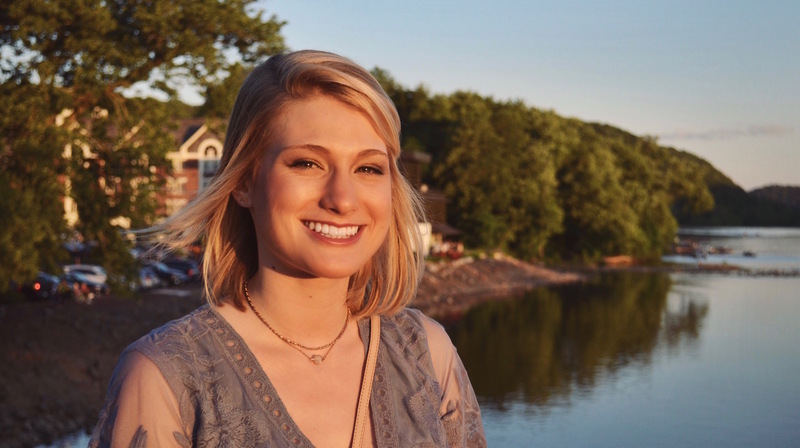 I have always been a huge advocate for Celiac Disease after being diagnosed in 5th grade and I hope to use my degree to bring more awareness to Celiac Disease, other autoimmune diseases, and the importance of a gluten-free diet. Since being diagnosed, I have had the chance to try nearly every gluten free brand as they came to the market and I have seen the progress that these brands have made over the years. 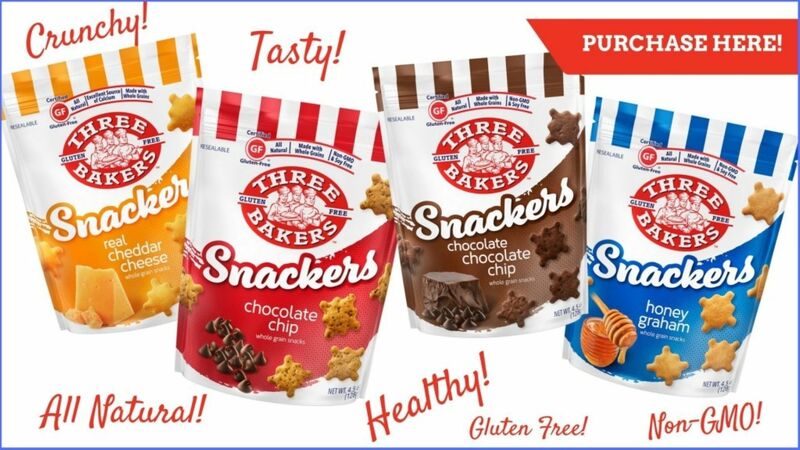 However, once I tried Three Bakers breads, I knew I found my forever brand! In my spare time, you can find me working out at my school’s gym, skiing, hanging out with my parrot named Kiwi, or in the kitchen trying out new gluten-free recipes I’ve created!